Finding a good aluminium & glass window and door fabricator for your new building or renovation project is imperative — a building project gone wrong due to poor workmanship can be costly. "So where do I start, what should I look out for, what questions should I ask, will I get durable products, what are the building regulation compliance requirements, etc., etc.?" The Crealco Brand dedicates itself to equip aluminium window and door fabricators with the latest modern and thermally efficient Crealco fenestration products. 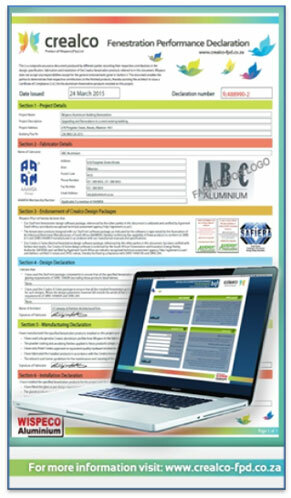 In addition it offers designers, draughtsmen, architects, QS’s and aluminium fabricators free and certified design, costing, fabrication & compliance assurance Crealco software. Crealco further offers numerous aids such as marketing brochures, technical wall charts, product manuals, REVIT 3D libraries and CAD cross sectional drawings along with fabrication and installation training to aluminium fabricators. This technical training has at heart improved quality of workmanship. The appointed stockist network that supply these fabricators furthermore offer showrooms at selected stockists nationwide with actual samples to view, touch and feel Crealco products. The table below lists factors to be considered to ensure that one ultimately source and receive genuine, durable, reliable and compliant Crealco products. 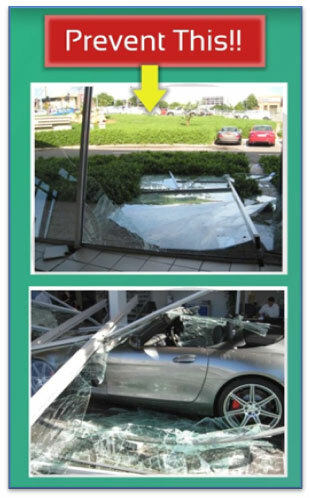 Correctly glazed with correct glass to prevent cracking, sagging, safety failure, etc. "Do you issue a Crealco FPD upon project completion?" Crealco FPD is a credible project specific assurance document covering all important fenestration considerations mentioned. The FPD can be issued to architects, property owners, project managers, builders and building councils as proof that the products designed, fabricated and installed are as per original plans approved and meeting the relevant regulations, durability and owner requirements. In essence, the table summarises the sections that are covered within the declaration in terms of the National Building Regulations as well as general workmanship aspects. For more information about the Crealco FPD visit www.crealco-fpd.co.za. If the answer is "Yes" and references check out, you can have peace of mind. Contact one of our appointed stockists in your area for reference to reputable fabricators.